I have just had a question from a rockstar Mumma in Hawaii about the best time to introduce watermelon. Since we are coming into summer here in Australia, I thought it made sense to explain the answer to everyone. I’ve seen watermelon, honeydew and rockmelon (what we call cantaloupe in the US) introduced as early as 7 months with no issue but would recommend introducing them at 8-9 months for a few reasons. Firstly, would you believe that these melons are actually slightly acidic on the pH scale? Their sweet taste can make you forget their acid content. Being slightly acidic is a good thing because it makes them a great source of vitamin C but you might see a small rash around your infants mouth at first introduction due to the acidity. Understand that this rash is rarely the result of a food allergy but it can deter parents from keeping these great foods in their baby’s diet. Watermelon, honeydew and rockmelon provide Vitamin A and C, folate, calcium, potassium, magnesium and phosphorus. Rockmelon packs a powerful punch of beta-carotene as well which is great for vision and eye development. They are also a great source of hydration which is an added bonus. A second reason to wait is that we promote purees for months 6 and 7, it makes sense to wait to introduce these fruits until month 8 or later because they do not puree very well. They turn into liquid easily and I find them very hard to feed on a spoon. 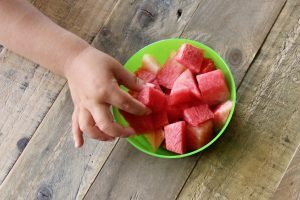 Watermelon is the first we’d recommend, in very small chunks so that they can be gummed and pushed to the roof of your baby’s mouth to “chew” before swallowing. 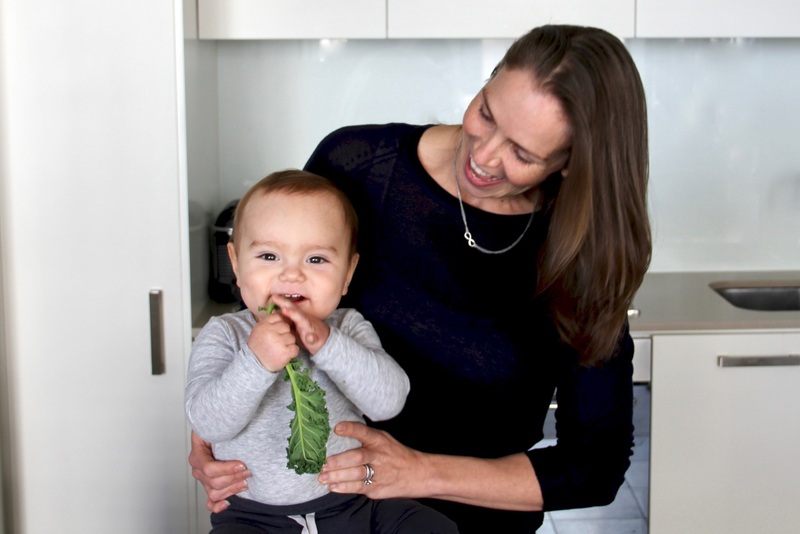 As always, with any “finger food” introductions, please watch your baby to ensure they don’t choke and this goes without saying, but remove ALL seeds! Honeydew and rockmelon are a bit firmer so I would wait until your baby had some teeth before introducing these but if you are keen then whizz them quickly with a hand-held mixer (not too long or you’ll end up with liquid!) and introduce them that way. Comment below to tell me how you went introducing these sweet summer fruits to your baby!